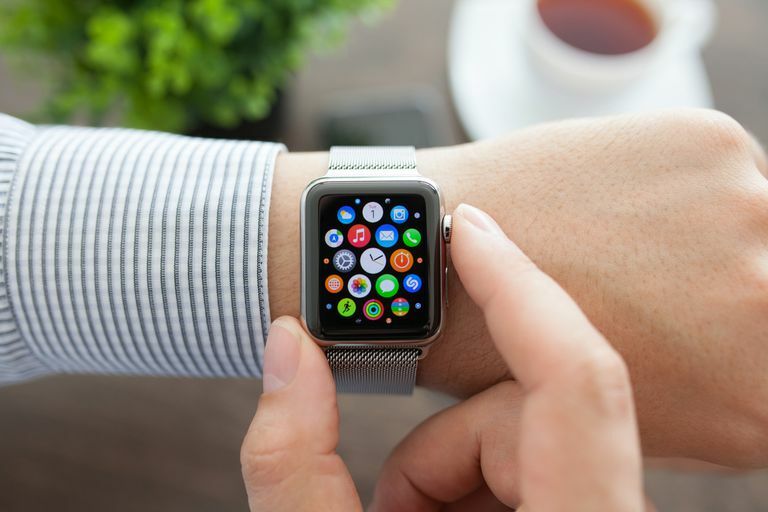 The Apple Watch is different from a lot of your everyday tech gear because it's one of the few things (in fact, likely the only device) you wear on your body. So locking it is less important than a device that might be left out of sight. All that being said, there are plenty of situations when you won't be wearing it and some situations where you want it inactive while wearing it. Apple removed the ability to lock the Apple Watch while you are wearing it replacing the feature with what it calls "Wrist Detection." With that setting enabled your Apple Watch will be locked as soon as you take it off. Enabling Wrist Detection is the best way to make sure your Apple Watch gets locked when you want it to. If you're using watchOS 3.1.3 or later then the manual lock option on the power menu is no longer available, so we recommend turning on Wrist Detection. The other way to force the lock screen is to turn your Apple Watch off. It will require your Passcode upon restarting. Wrist Detection is super handy and easy to activate. Simply open the settings app on your Apple Watch, tap Passcode and swipe the switch to turn on Wrist Detection. Apple Watch Series 2 and later have a certain about of water protect, yet water can also activate your screen. So whether you're wearing it in the shower or going for a swim, the Water Lock feature is handy for those running watchOS 5 or later. If you use Apple Watch to track your workouts then this is easy; selecting a water activity in the Workout app will automatically turn on Water Lock. But if you're not counting your shower as a workout then you'll want to turn it on via the Control Center. Swipe Up on your watch to activate the Control Center. Tap Water Lock, which is the symbol with a single droplet shape. To turn off Water Lock turn the Digital Crown until you Apple Watch says it's unlocked. Water Lock isn't just for convenience. It also includes a feature used to push water out of the speaker holes in your Apple Watch to prevent any water from causing damage to your device. One of the first things you'll be prompted to do when setting up a new Apple Watch is to create a Passcode. You can bypass this step, but it's a quick way to protect your watch right out of the box. When pairing your Apple Watch with your iPhone you'll be prompted to set up a Passcode. Select Create a Passcode. If you choose a code that might be easy to guess, such as repetitive digits, you'll be prompted to verify that you still want to use it. An alternate option is to select Add a Long Passcode if you want more than 4 digits for a stronger Passcode. Re-enter your Passcode to confirm. Adding a Passcode to your Apple Watch will automatically enable Wrist Detection, which means that anytime you take your watch off and it goes into sleep mode your Passcode will be required to wake up your watch. If you opted not to make a Passcode when you initially paired your Apple Watch then there are two ways to do it. Your first option is to go into Settings on your watch and tap Passcode. This will give the option to Turn Passcode On and you can enter a four-digit code. You cannot set a longer Passcode from your watch directly, you'll have to use your iPhone to do that. The second option is to use your iPhone to turn on Passcode. In the Apple Watch app on your phone and go to the My Watch tab. Tap Passcode and then select Turn Passcode On. Then enter your desired Passcode. If you created a four-digit code initially but want to have a more secure Passcode you can update it through your iPhone. The My Watch tab on the Apple Watch iPhone app allows you to select Passcode, which will first require you to unlock your Apple Watch if it's locked. Use the toggle switch to turn off Simple Passcode and then the app will direct you to your Apple Watch for the next steps. First you'll need to enter your current four-digit Passcode. Then you'll be able to enter a new, longer option and tap OK. You'll be required to re-enter the code to verify. You can change your Passcode through the Apple Watch by going to Settings > Passcode > Change Passcode. If you're using a four-digit code then your new code is required to be only four digits and if you're using a longer Passcode you cannot change to a four-digit code on the Apple Watch. You can also change the Passcode through the Apple Watch app on the iPhone, following the same steps above. Now you're ready to keep your Apple Watch safe from prying eyes, curious toddlers, and potential water damage.